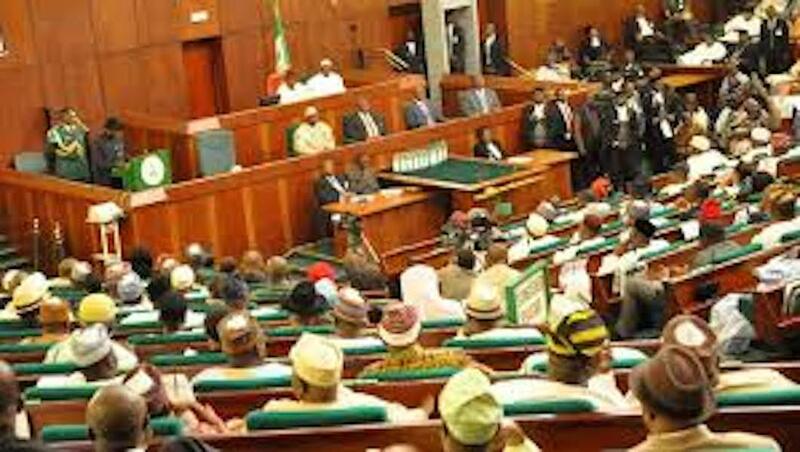 The National Assembly Joint Committee on Electoral Matters on Monday commenced the fourth attempt to amend the Electoral Act 2010 as amended, which President Muhammadu Buhari had refused to assent last month. Buhari had in a record three times this year refused to assent to the amendment bills transmitted to him by the National Assembly. The Committee Chairman, Senator Suleiman Nazif (Bauchi, PDP), who made this known at the commencement of the executive session of the committee said the meeting would conclude correcting the identified faulty provisions of the bill on Monday and make its conclusions public on Tuesday. According to him, the committee, which he said is being monitored by Nigerians, who are eager to see how the lawmakers would conclude the process, will perform its duties in the best interest of the country. “My highly respected colleagues have cut short their holidays once again to look at the Electoral Act. We are in the eyes of the storm and Nigerians are waiting to hear from us,” he said. Nazif said the committee was addressing the issue of the 2018 Electoral Act Amendment Bill for the fourth time in nine months. His words, “Here we are, again, trying to address the Electoral Act for the fourth time. Nigerians will recall that there was a first Electoral Act (amendment bill), the second and the third one. He further explained that it would not be right for him to speak to newsmen when the committee was yet to meet. “I’m not in a position now to address the press and I don’t think any member of this committee is in a position to address the press. The Joint Committee’s proposal on the Amended Electoral Bill will be presented to the two Chambers of the National Assembly when it reconvenes next week. The presidency had earlier this month attributed the refusal of President Buhari to assent to the third version of the 2018 Electoral Bill to some drafting issues. The Senior Special Assistant to the President on National Assembly (Senate), Senator Ita Enang, had in a statement said Buhari declined assent to the bill on August 30. According to him, “President Buhari had by communication dated August 30, 2018, to the Senate and the House of Representatives declined Assent to the Electoral (Amendment) Bill, 2018. “I pray for leave, that in view of public interest, the fact of the National Assembly vacation, the imperative to avoid speculation and misinformation, that I give just a few of the rationale by Mr. President. ‘’Mr. President is declining assent to the Electoral Amendment Bill due to some drafting issues that remain unaddressed following the prior revisions to the bill. A few of the outstanding issues, according to Enang, are: ‘’There is a cross referencing error in the proposed amendment to Section 18 of the bill. The appropriate amendment is to substitute the existing sub-section (2) with the proposed subsection (1A), while the proposed sub-section (1B) is the new sub-section (2A). “The proposed amendment to include a new Section 87 (14), which stipulates a specific period within which political party primaries are required to be held, has the unintended consequence of leaving INEC with only nine days to collate and compile lists of candidates and political parties as well manage the primaries of 91 political parties for the various elections. This is because the Electoral Amendment Bill does not amend sections 31, 34 and 85, which stipulates times for the submission of lists of candidates, publication of lists of candidates and notice of convention, congresses for nominating candidates for elections. “For clarity, may I provide some details of the provisions referenced. Clause 87 (14) states, ‘The dates for the primaries shall not be earlier than 120 days and not later than 90 days before the date of elections to the offices. The Electoral Act 2010 referred to herein states in Section 31, “That every political party shall not later than 60 days before the date appointed for a general election submit to the commission the list of candidates the party proposes to sponsor at the elections. Section 34, ‘’That the commission shall at least 30 days before the day of the election publish a statement of the full names and addresses of all candidates standing nominated.